Tablets are small computers which are normally operated by touching the screen. The best known of these is the Apple iPad (Mini, iPad 2, 4 or iPad Air or Pro). The iPad can now be bought with up to 128Gb of space on a solid hard disk. Mind you, all tablets contain initial programs which take space. So you may find that the smallest memory versions soon run out of storage room. After all, they mostly have video and still cameras and players, the ability to access the net for films and emails and a dozen other 'apps', in addition to an operating system. Some tablets, like the Samsung Tab 27, and Tesco's Hudl (now no longer sold) get over the initial lack of space by having a Micro SD slot, allowing you to add 32Gb or more space. In addition there is lots of free storage on line. If you synchronise your computers with the "Cloud" you may even find that your pictures are available on ALL your equipment. Tablets, whether using the Google Android or Apple Operating system, appear to be more secure and are updated regularly. By all means use your old machines for the myriads of tasks they were used for before the Internet became popular - word processing, calculations, photography etc. People who have never used a PC will find a touch screen tablet far easier to use. 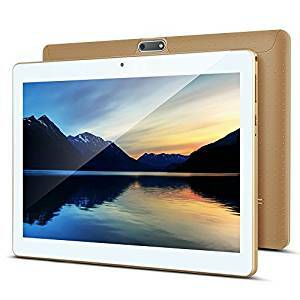 Tablets are extremely portable and do not have to have wired connection to your router and many people use them in the living room or even in bed! Most have to be connected wirelessly to a 'router', which is the broadband connection but some may connect via the mobile phone system. The popular Apple iPhone uses the same operating system as the iPad and so can do everything an iPad can but on a smaller screen and, of course, it can also be used for phone calls. Most tablets cannot. The word used for a tablet with phone connections is "Phablet". Although you would need to get the Which magazine to see the full reports, the above site enables you to see some of the technical detail for each model, such as screen size and storage capacity. The cheaper 16gb models show, as mentioned about that most only have about 7gb left after the operating system and extras have been added. Nevertheless, these models, from � to �0 can be very useful. Just be careful how many apps you download and how many photos, videos and music albums you keep. 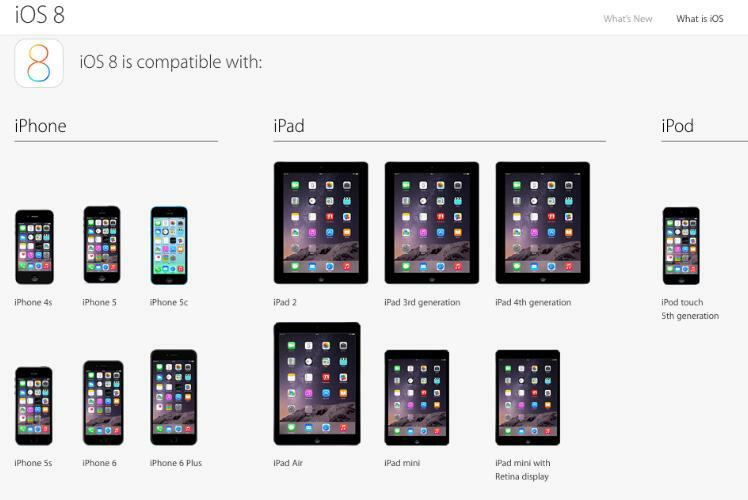 Here is the current range of phones and iPads from Apple. They cost from over �0 to �00 depending on their size, capacity and screen quality and whether they can also connect to the mobile phone system. Apple make sure that people upgrade their equipment by allowing applications which will not work on ealier models! Some of the iPads now have mobile phone facility (4G) and most can be paid for by contract. The iPad Pro is aimed at the business user and is priced between �9 and �00 - if one includes a separate keyboard and a bluetooth stylus, which itself costs �9 but is capable of drawing individual pixels. January 2019. Apple shares have plunged on reports from their HQ that iPhone and tablet sales are very much down, especially in Greater China - including Taiwan (where many are made and where they have been popular). Perhaps the Golden Goose has become just too expensive for many people, especially when one sees Android based phablets such as the Padgene 10 at �.50 delivered from Amazon. This has 2 gb RAM and that essential 32Gb storage - as well as the usual Android-type specs such as and SD slot for cheap extra memory. A spec like that from Apple would cost almost 10 times the price ! But, if you are keen to continue with Windows but like the idea of a very portable machine have a look at the Acer Iconia range on Amazon. They are 10.1" tablets, touch screen and have a full sized detachable keyboard. With its solid hard disk it is said to run for 18 hours per charge. That is a lot longer than any laptop or even tablet. It comes with Windows 10. Microsoft's Surface is similar but can cost as much as �99, so is a different beast altogether. Microsoft has made Word, Excel and Powerpoint apps available to the iPad and for Android. See New York Times But, instead of charging a large amount for their Office Suite, Microsoft's new technique is to charge an annual fee (per machine of course) It remains to be seen whether this will solve Microsoft's evident problems in view of the much cheaper Apps now available on pads. Having said that I have had an advert supported version on an Android tablet. Connecting a tablet to a TV. An iPad can be connected using Apple's HDMI connector in the charge socket or alternatively using a a � box (Apple TV) which will allow wireless a connection. There is also a method of displaying what is on your iPad or phone on the TV using Airplay . Many Android based tablets can also be connected by plugging a cable into a TV HDMI socket. There are also methods of 'casting' videos from most computers (including tablets), wirelessly as long as the TV has a suitable attachment. So, which tablet ? Unfortunately Tesco are no longer supplying the Hudl at �. The 7" iPad Mini, comes with a quad core chip (fast), a good screen and a minimum of 16gb of memory. You will pay �0 for the mini iPad, which doesn't have a memory upgrade socket, HDMI port (to connect to your TV) OR a USB port for a printer and camera input. Battery wise, I find I have to charge mine twice a day. Hudl Tip : After an Android update my Hudl would not start despite being fully charged (green light shows). I went to the Tesco site which indicated that it could be restarted by poking a pin through a hole in the back. There is no hole in the Hudl2. So I then searched the site for restarting a Hudl2. You have to (illogically) hold down the start button for a full 20 seconds... count 1 and 2 and 3 and... That is a long time. Release the button and it is still dead - until you tap the button again. It then restarts from scratch. I told 'em. I am still fond of the Hudl. A friend then gave me a Hudl to sort out. It would not charge at all. Tesco tried to reset it but with no power whatsoever they did not have any luck. They suggested I phone their electrical helpline on 0800 323 4060. The suggested the usual restart procedures but they didn't help. We then resorted to the net and found a very useful video at https://hudl2.jellypie.co.uk/hudl-2-battery-replacement/. This tells you how to replace the (twin) batteries, which at around � delivered from Amazon. It is easy enough to do. The main difficulty was prising off the back. You need a sharp knife and work round the case popping out each snap connections. They will do the job for �, which is very reasonable. But there are one or two other possible problems. Apart from dead batteries the small USB socket can be a problem. That is also replaceable by any handyman with a very small screwdriver. But that is another cost and one has to decide whether it is worthwhile. An Amazon Fire is only �. Chromebooks. e.g. Acer Aspire CB3 -111 (�9) 11.6"
Touch screen machines, larger than most tablets but lighter and faster than most laptops, they use Google Chrome as their browser. They really work best with a fast Wi-fi connection, as many of the facilities depend upon a 'Cloud' connection. They do have a certain amount of on board SD storage but also a generous allowance of free on-line space. From �0 (in 2015) they are around the price of the cheapest laptop but Google sells a high end version for a great deal more. Most people think of them as a second machine or something that they might give to their children. One description of the Chromebook 2 was ecstatic about the quality of the display. "The jaw-droppingly gorgeous 13.3″, 1920 x 1080 full HD IPS panel exudes an air of superiority that it shouldn’t come close to deserving at this price point. The screen of the Chromebook 2 outclasses what I’ve seen on some laptops four times the cost, and when you add it to the booming 'Skullcandy' speakers and almost 10-hour battery life, you’ve got a multimedia machine that can take a beating and still look good doing it along the way"
The Google (Samsung) Chromebook is now available from �9. See http://www.google.com/intl/en_uk/chrome/devices/#utm_campaign=en&utm_source=en-hpp-em-uk&utm_medium=hpp Chromebooks boot in seconds, have apps built-in, and back up your stuff safely on the cloud. With 3G and all-day battery, you can take them anywhere and everywhere. The Samsung 550 model comes with 3G from �9, so you will not be tied to a WiFi connection. Most use the Android Operating system; can connect to your Wi- fi router or Wi-fi 'hot spots' in many places or to Bluetooth type gadgets; have at least one camera, have colour touch screens and may have expandable memories via a slot. 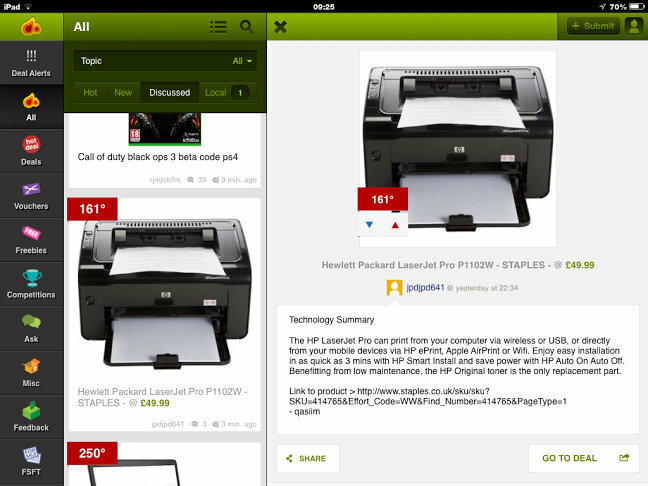 See the ** Tesco Hudl to compare what the others have or are missing. Amazon 6" Kindle Fire and Fire HD. Pros : Good screen and video, cheap (from �). Expandable to 128gb with Micro sd. Claimed 10 hours battery. Free unlimited on line storage for Amazon products (books) and your photos taken with the Fire. Cons :Amazon offers fewer apps than other Android versions. Lots of films and music(38 million)...free to Prime members. Google Nexus Android 16Gb Quad core. 32Gb model with 2Gb RAM is more expensive but good reviews Pros. Stereo. 2 cameras, keyboard socket. Did very well in Which tests for snaps, even in low light. Apple iPad2 Air 9.7" Version 2. Many models and prices (�9 - �9) Pros : Hi res screen. Good speech recognition. Cons :As for Mini iPad above. All Apple equipment can be synchronised.with each other. Asus Memo Pad7 RRP rom around � on Ebay. Pros Cheap unless you pay full whack. Cons. Only 8gb and reports of sluggish and lower res screen. Microsoft Surface 2 10.5" Windows OS. Pros : Good if you like Windows. USB socket for peripherals e.g mouse, keyboard, printer. Cons : Hefty price, hefty machine. Samsung Galaxy Tab4 7", 8" and 10.1" from � Samsung Android. Pros. Good screen, fast. The cheapest version only has 8Gb memory. Reports continue of people getting caught for huge bills as a result of using "free" games on tablets and phones. I find that even the simplest games - often directed at children - soon lead on to extras without much warning of the cost. One youngster racked up a bill of �00 in 15 minutes of "Zombies vs Ninja". It is shocking to learn that some extras were costing his Dad � each ! Now, with most teenagers having smartphones and control of their passwords (and not picking up the bill) this problem will increase. The writing of "Apps" has become a free for all. And not just from money making geeks but undoubtedly from crooks as well. NEVER GIVE THE PASSWORD TO YOUR ACCOUNT TO A YOUNGSTER. Once their gadget has that WATCH OUT ! The "Which" Reports on tablets over the last couple of years have placed the iPad and mini iPad in all of the top 7 slots, which only the fairly expensive Acer Iconia creeping in at 8th. Then there are a number of Samsung Galaxy models plus an Asus, Google and Microsoft tablets bringing up the rear. But this market is fluid and fashions and prices can change overnight. One area which is developing rapidly is speech recognition (long been pet idea of mine) The later iPads, including the Mini, include a program called Siri. The enables you to ask questions on any subject and Siri will find the answer either from the iPad or off the net. Saves a lot of typing and searching. Google are now developing the same facility and it will inevitably be applied to all computers and games consoles. Windows 10 version of Siri is called Cortana. Many people don't realise that the quoted hard disk space on the various Pads is not all available for use. The sophisticated operating systems and installed applications take a sizable portion. For instance, if you get a 64Gb Microsoft Surface only 21Gb is available to store you pictures, videos, music and additional apps. Amazon has been beefing up its Kindle e-book reader (mono). You can still get the basic reader for �. Without colour they claim you can get several weeks reading on one charge - if you go easy of the back lighting. But bear in min that you are restricted to Amazon's e-books and several people didn't like that. We now have the colour touch screen Kindle Fire at � and the 8" Kindle Fire HD (higher resolution screen) from � for the 16gb version. There is now a 10 inch version at �9. The basic Kindle Fire has a 1.2GHz processor, 1GB RAM, 8GB of storage and a 7" colour touchscreen, with a thin, light and durable body. Perfect for browsing, watching, playing and reading, the Kindle Fire gives you instant access via WiFi to over 22 million movies, TV shows, songs, books, and magazines, plus some of the most popular apps and games. A free one-month trial of LOVEFiLM lets you stream thousands of movies and TV shows over an Internet connection. It has fast web browsing and email, as well as integrated support for Facebook, Twitter and Gmail, Microsoft Exchange calendar and contacts. It also comes with free unlimited cloud storage for all your Amazon-purchased content, so you don't have to worry about losing your favourite media ever again. The iPad Air, which is superior to the ipad2 and has a higher definition screen, is currently priced from �0. You can pay more depending on the size of the memory (up to 128Gb) and whether it connects by Wi-Fi (local wireless connection) or 3G (satellite) Like the earlier iPads it has a bright glass screen. It is fast, connecting to a wi-fi connection almost instantly when the start button is pressed and it displays a number of standard icons, such as email, browser (Safari).calender, maps, photos, camera etc. The normal method of operation is to touch or press an icon to get to the next screen. Its really impressive and intuitive feature (now common on a number of mobile phones) is to swipe the screen from one side to the other or top to bottom, revealing other icons, photographs or emails. Beyond this feature I have found the iPad considerably LESS intuitive, requiring a rethink from PC habits. Returning to the 'home page' requires one to press the Start button or to 'grab' the screen with all fingers. Pressing an icon, rather than tapping it makes all the icons dither around, which gives the opportunity to rearrange icons, move them to another page or delete the 'app' completely. The email button shows the number of unread emails you have. Pressing it shows a split screen with the list of emails on the left and the text on the right. The next hurdle is to print them. iPads do not have USB sockets (surprising), so I had to order a wireless printer, which works fine (and enables me to print from other PCs). Some iPads have mini memory card slots, which would be useful and some have a slot for a phone SIM card. Transferring pictures to it was a mystery. Suddenly all my favourite pictures appeared. Pictures can be downloaded from emails easily enough. But connecting the pad to the PC via its power socket (!) with the charger cable allows you to connect to an iTunes folder on the PC. They hope you will start buying music. Not for nothing Apple is bigger than Microsoft. Synchronising it the name of the game. If you have an iPhone and iPod these can all be synchronised either by cable or wirelessly through "The Cloud"
Surprisingly, connecting The iPad to the PC does not recharge it (a shame), so you have to swap that cable often. The battery is reasonable, just about a full day's use. When the rechargeable battery wears out you have to take it to Apple or throw the thing away (no serviceable parts). One thing one must become familiar with is the Apple App store. Once there one can search for applications such as a Word Processor. .. unlike Ubuntu it doesn't come with one. But prices are not high. A word processor (called Pages) cost me �99, a PDF reader and even a Speech recognition program were both free as are BBC news and catchup apps. I have also become addicted to a Scrabble type game (Words with Friends) which can even be played with friends on PCs. Access Youtube, Facebook and Twitter are all in there when you start. 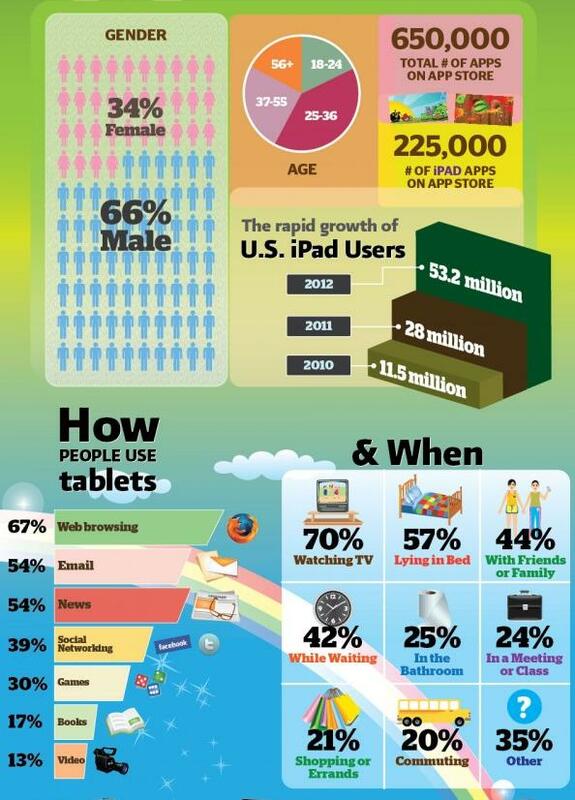 It is interesting to see statistics as to iPad use, especially how many people use them while watching TV and or in bed! 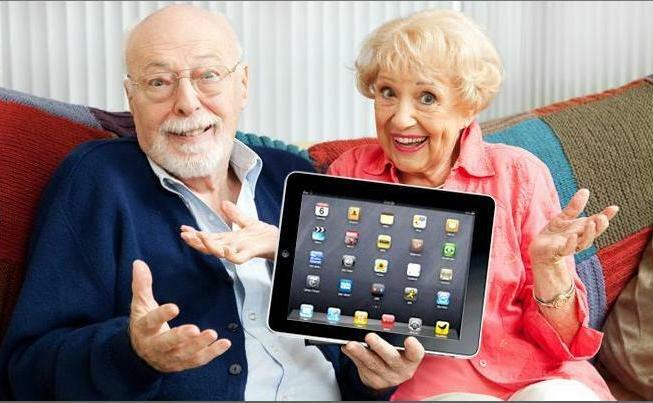 There are a number of Pros and Cons with iPads. In standby mode (press a button on the edge), connection to your WiFi is instantaneous. That is a big plus over starting a PC these days. Even from the Switched off mode it is just a mater of seconds. But Standby takes little power so many people will switch to that between uses. In any case it returns to Standby if not used for a while. The speaker is excellent. I am completely deaf without my cochlear implant but find this speaker better than most radios or TV. Using the BBC iPlayer app I still use subtitles but really could manage without. 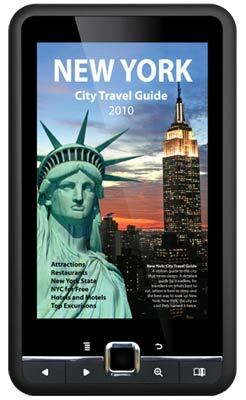 The screen is good, even on the iPad2, so displaying photos as stills or as a slideshow, is what you see many people doing to show off their new gadget. The screen size is perfectly adequate for watching a full length video. All Apple equipment (PC, iPod, iPhone and iPad) can be synchronised, so you can keep them up to date with photos, music, diary etc. When writing (e.g. email) the iPad tries to anticipate you text and suggest (on screen and audibly) what you might be thinking! Pressing the space bar accepts its suggestion, which could be wrong. So be careful! But this can help speed up your writing. It corrects spelling and. if you write doesn't you don't need to enter the apostrophe. Handy. I still find the operating system confusing after several months and often find I am back at some point I looked at a week before, when really I just wanted to continue emailing. Having to charge it frequently is a nuisance. Having to keep an eye on the battery level. The average PC USB connection is not man enough to charge it (wrong voltage?) so you have to use a mains connection. Having to go through the synchronisation process with the same, short cable. I have rarely bothered, although synchronising has advantages. But beware of synchronising a folder you have changed on the PC. It is easy to wipe out music, pictures etc on all you Apple gadgets. Photo manipulation, so far, has been a pain. Oh for a Picasa equivalent! I haven't yet found a Deleted Mail or Sent Mail area. When replying to mail I like to clear the writer's mail. This can only be done with difficulty. You can backspace/delete it. After a couple of letters it then deletes whole words. The best way is the Tap, Select all, then press the space bar or enter key. Or you can tap Copy or Select and drag over the section your want to delete or copy. Editing text is a pain. Getting back to that mispelt word with fat fingers...Sometimes I make 5 attempts. I need cursor keys or a mouse. If you press and hold on a sentence it magnifies it, which helps . But all there is is a deleting backspace, no forward delete. Some of this difficulty can be overcome using a special stylus. Now where is my stylus ? The 16gb iPad is quite short on space. I had to delete apps and videos just to download an update. Apple decided to do without Flash. So some videos will not play. IPads can make still and video pictures. But you may wish to transfer large videos to a desktop PC. The iPad makes videos in Quicktime MOV format. The easiest way to transfer these is to connect your iPad to the PC via the charge cable. The computer should recognise it like an external hard disk. You can then open it (I use the Windows key and E to open Explorer). If the iPad has appeared, you can right click on it and click Open. The graphics will appear as a series of Apple folders. You can right click and Copy these and then Paste them somewhere on your C: drive. You may find it necessary to load the iTunes program onto the PC. That can be found on the internet. The main bugbear with iTunes is that it appears to be updated regularly and it is a very big program. 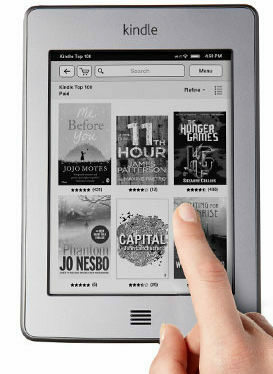 E-book Readers are the portable devices that have the capacity to contain hundreds of books which can be found on line. Many of these are out of copyright and many are free. You can download several books to a reader and take it with you. So, what is the point of an e-book? Portability is an obvious advantage especially for avid readers. Delivery is instantaneous. Some books are charged but usually cost a half or a third of buying them in a shop. But since Amazon popularised the Kindle several other reader devices have appeared. Each has its own strengths and weaknesses.WHSmith sell some. ALL tablets can be used as readers, usually with the Kindle app. The Kindle. This is Amazon's own baby. So, with the 3G model, you could download a book or the latest newspaper while sitting on a beach (even if you were marooned on a desert island !). I was even able to get my Gmail wire-free at no extra cost. With the older model, without a mouse, the little 'pad' made it difficult. It does have an on-screen keyboard but even the Kindle 3 (�) was not 'touch screen' But the newer Kindle Touch (�9) is. Amazingly the Kindle has a reasonable Text to Speech, so would be usable by the blind and partially sighted. All versions are capable of connecting to your PC either wirelessly or by USB. They can be recharged with the supplied charger or via USB. October 2011 The new Kindle is smaller and lighter than the first one. It comes in two styles. The basic one is � (connects to wi-fi hotspots) and the 3G version (with keyboard) is �9 (connects anywhere). There are no further charges unless you download paid for books from Amazon. Kindle books are exclusive to Amazon, although you can download Kindle software to your PC or a tablet, free, so can download books to read there. 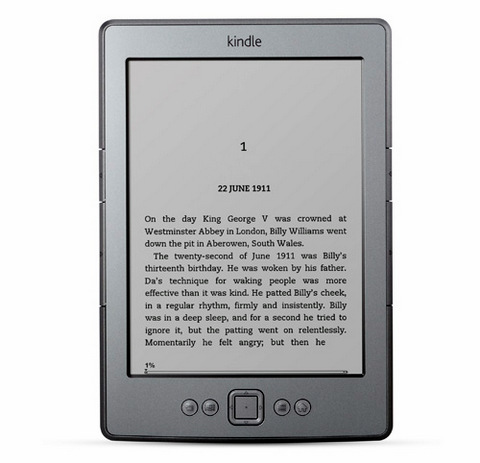 The Kindle is also able to read PDF files, which extends their range considerably. Charges vary according to the book or whether you wish to subscribe to a magazine or newspaper. Although you can download a sample before purchase, Amazon make it (too) easy to accept and pay for a book with your Amazon account. One click too many and you will be emailed as to what you just paid ! It arrives set up for your Amazon account and ready to go. Amazon carries over 500,000 titles in the UK store. Elonex has brought out one (the 500EB) for � which is full colour and, in addition to books can display photographs and videos and even plays music files via headphones. It has 2Gb memory but (unlike the Kindle) this can be increased using an SD card. 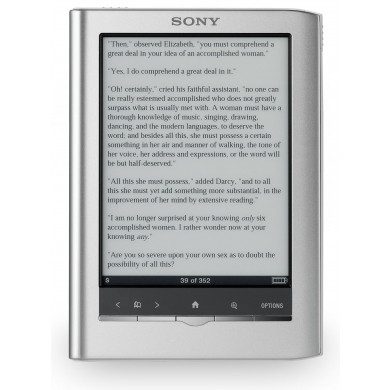 It does NOT use e-ink, which means it displays more rapidly but takes a great deal more power - lasting around 6 hours, as opposed to the Sony and basic Kindle readers, which will last for days. Charging and downloading is via a USB cable to your PC. It does not connect wirelessly. A million free books can be downloaded from the Elonex site. Free books can be downloaded to these devices - or to your PC from Amazon, www.manybooks.net, Elonex.com, Gutenburg, Bookdepository (co.uk). free-ebooks.net and several other places. HootSuite: All your social media, an app handling social media on the go; allows for publishing to all of your social networks - Twitter, Facebook, LinkedIn, etc - from one interface. You can schedule messages for optimum times, attach files and photos and shrink links, all with a few taps. Advanced users can even set up streams for monitoring customer feedback on social networks, track clients and keywords across different platforms and more. Dropbox: Your hard drive, anywhere - Here’s an oldie but goodie, cloud-based system to sync files across all of your devices. Just drag files or folders into the Dropbox folder, and they’ll sync across phones, PCs, laptops, tablets, etc., automatically. Edit from anywhere and changes are saved and synced (You can even access older and deleted versions of files). Dropbox gives you 2GB for free (or up to 18GB if you refer friends) and has paid plans for users with bigger needs. Trello: Beyond to-do lists - Trello takes this concept into the mobile era. Tasks (or Lists, in Trello lingo) are represented as columns on a virtual corkboard. Add as many cards as you want to a List, then customize each card with comments, checklists and attachments. Uniquely flexible and collaborative, Trello is as handy for personal to-do lists as it is for coordinating complex projects among big teams - from managing sales leads to producing films. Paper : Drawing, colouring http://www.fiftythree.com/paper Free basic app but lots of add-ons to buy. Evernote: Another indispensable classic, cloud-based note taking app You can save anything in it - photos, voice memos, attachments, clips from the Internet, typed and even handwritten notes - and it makes everything searchable, synced and accessible across all of your devices. The uses are really limitless. Record a sound bite at a conference on your phone and listen to it later on your work PC. Jot down some inspiration on your tablet on the bus, then finish the thought later on your home computer. Take a photo of a business card or handwritten Post-it note, then - courtesy of Evernote’s OCR handwriting recognition - search its contents at a later time. The free mobile app lets you upload up to 60 megabytes a month. UberConference: Conference calls on the go - Organizing conference calls is a logistical feat under the best of conditions - emailing colleagues to set a time, sending out access codes, waiting for everyone to call in. Trying to do all that on the go can be nearly impossible. That’s where UberConference comes in, the brainchild of Google Voice guru Craig Walker. You select attendees from your phone’s contact list and UberConference automatically calls, emails or texts them to join, no PIN required. Once the call is underway, the app’s nifty display shows photos and social profiles of all callers and even indicates who’s speaking at any given time. Though it lacks the ability to schedule calls in advance, UberConference definitely succeeds in making the conference call experience a bit less painful. Looking for more time-savers? An unabridged list of 2013’s must-have business apps (both mobile and desktop) is available on HootSuite’s app directory.